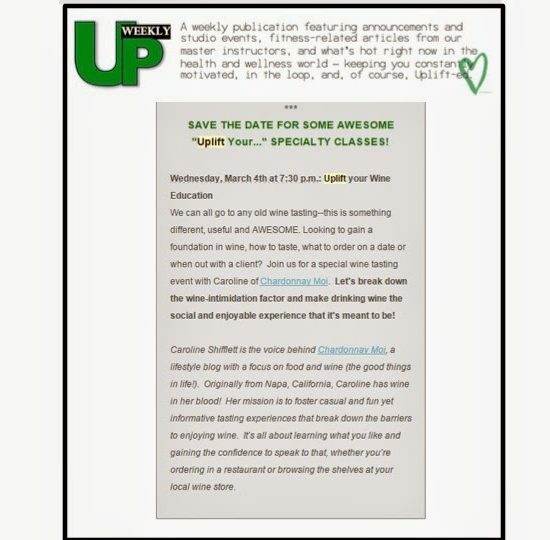 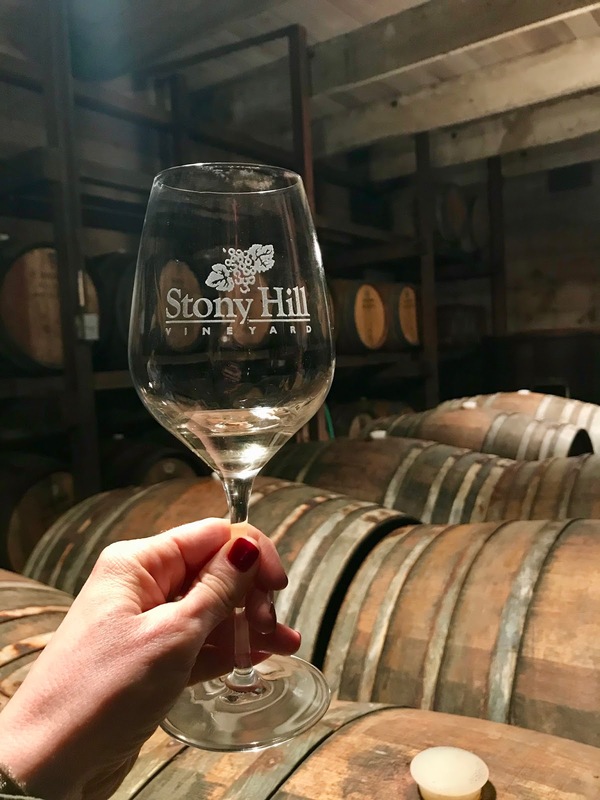 Wine Wednesdays - Wine Tasting at Stony Hill Vineyards - Chardonnay Moi - Food, Wine, Travel and Fun! 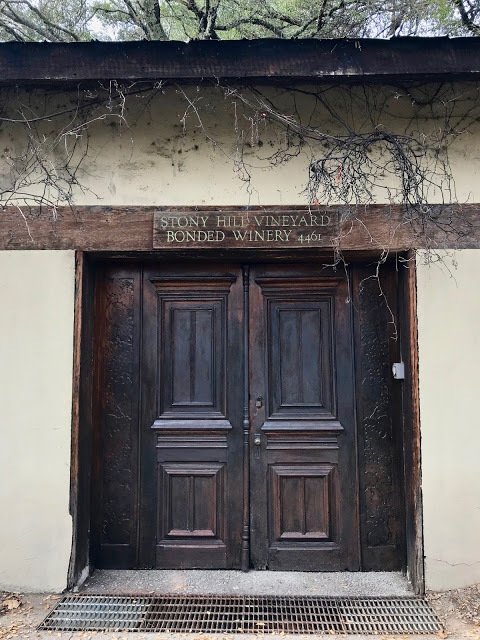 I love exploring new to me tasting experiences when visiting home, this past MLK weekend I finally made it up to Stony Hill Vineyard, one of the oldest family run wineries in the Valley. 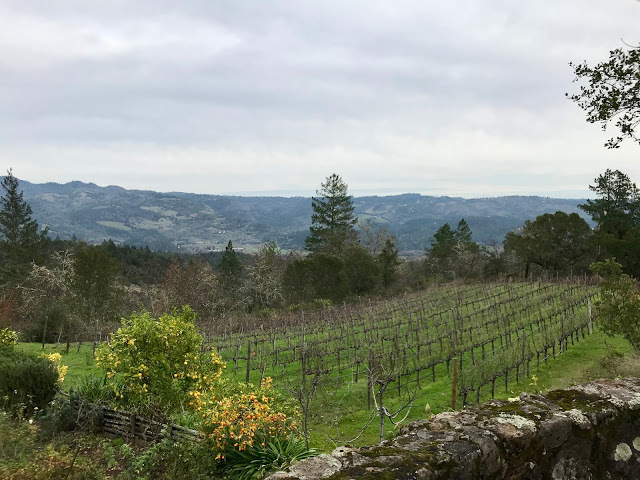 Since the early 1950’s they have been growing some of the best Napa Chardonnay as well as Riesling, Pinot Blanc, Gewurztaminer and Semillon, more recent plantings include some red varieties: Cabernet Sauvignon and Syrah. 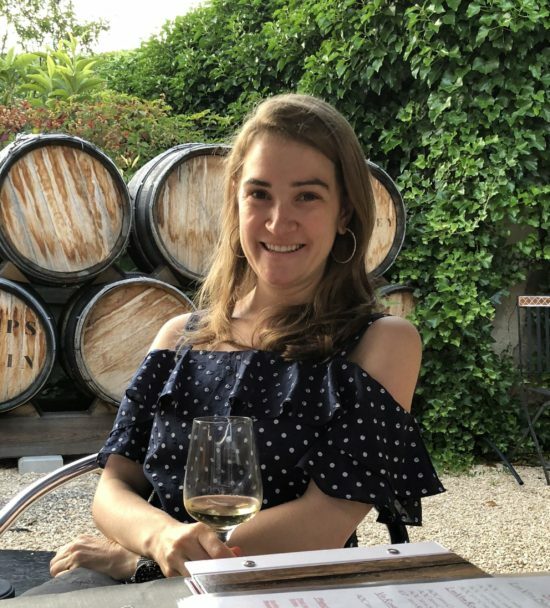 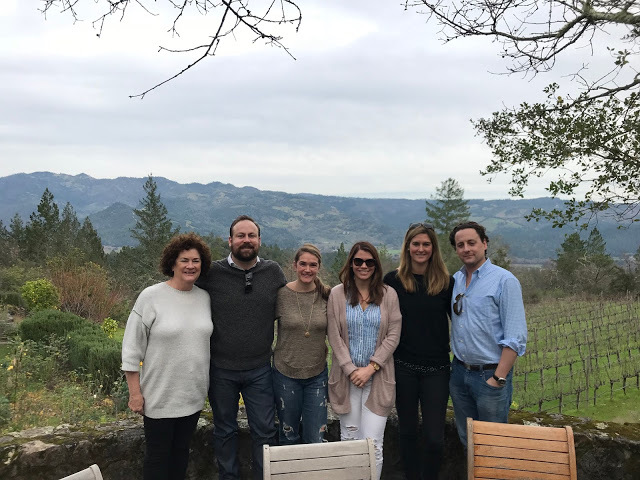 We began the tour with a walk through the vineyards sipping the 2016 Gewurztaminer, with bracing acidity and notes of white peaches, it was light and refreshing to kick off the tasting! 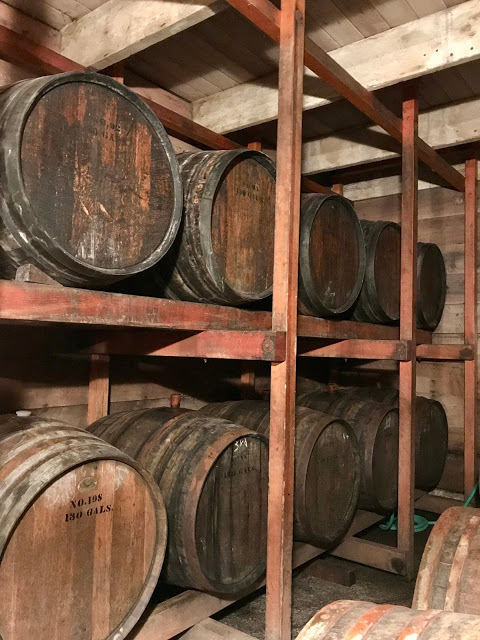 We continued on to the original cellar where the oldest barrels in the Valley are stored (some from the 1960’s that are still in use!). Stony Hill uses entirely neutral oak so wines are allowed their true expression. 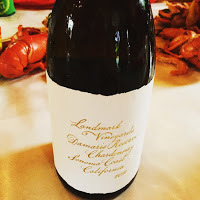 Here we sipped the 2016 Riesling which was absolutely delicious, floral and fruity with a nice balance of acidity to round out the slight note of RS. From the cellar, we made our way back to the main house where a lovely table setting was awaiting us. 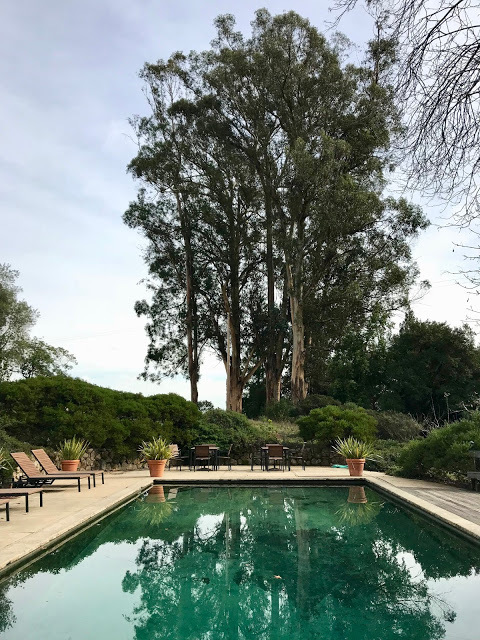 The house has a wonderful 1950’s Frank Llyod Wright vibe! 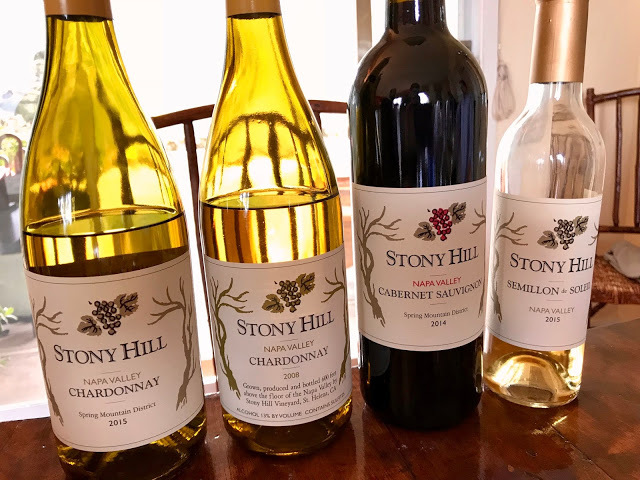 We finished the tasting with a comparative Chardonnay tasting, the 2008 vs. 2015. 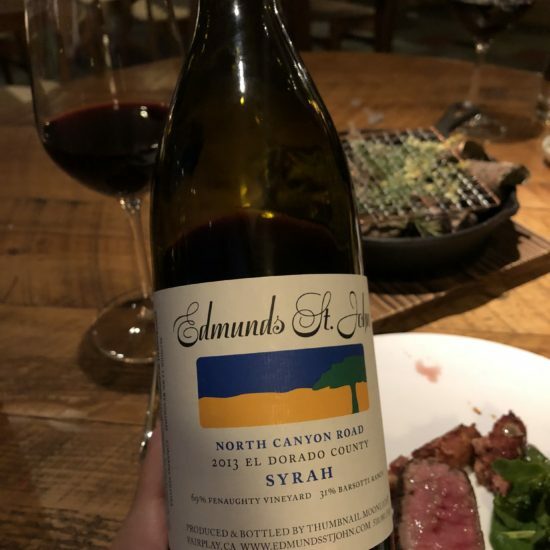 Our group was split 50/50 on old vs. new, I would absolutely drink both but loved the older wine which was still crisp yet round and creamy. We finished the tasting with the only red wine, the 2014 Estate Cab and then the 2015 Semillon dessert wine. Made in the Italian “passito” style, grapes are picked at 25 bricks, left to further ripen in the sun and are pressed at 30 bricks, leaving a wine that has a nice balance of residual sugar and acidity. 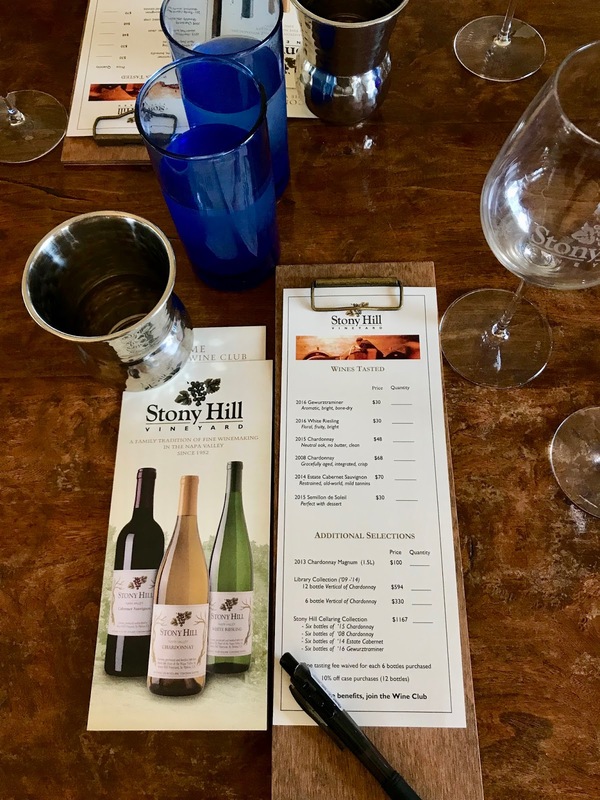 I would highly recommend Stony Hill as a stop on your Napa Valley tour, the wine, history, and views are all magnificent!